Spaghetti FOUR Different Ways in ONE Meal – (serves 4-6) | Crappy Kitchen - Good Dinners! This dish took me 30 minutes to make from start to finish and each of us sat down to a different dinner! I’m no magician, but I’m possibly ingenious! 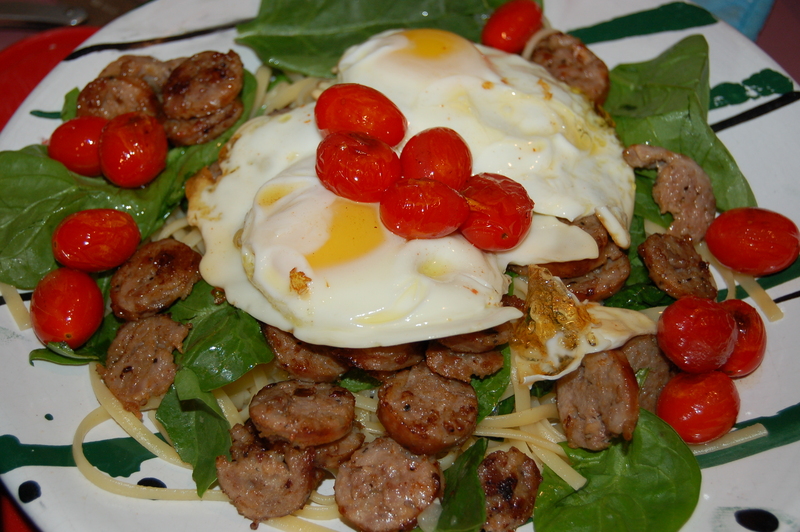 This one had the most additions to the base flavors: I added soft-fried eggs 🐔 fried mild Italian sausage and quick-friend cherry tomatoes. This plate lacked neither flavor or color! This was a night (Thursday night Nov. 6th to be precise) when each of us wanted something a little different and I was in the mood to cater to those variations. All I did was center everything around spaghetti with a base flavor of olive oil, garlic, onions and cayenne pepper flakes and then add in the requested ingredients for each person. 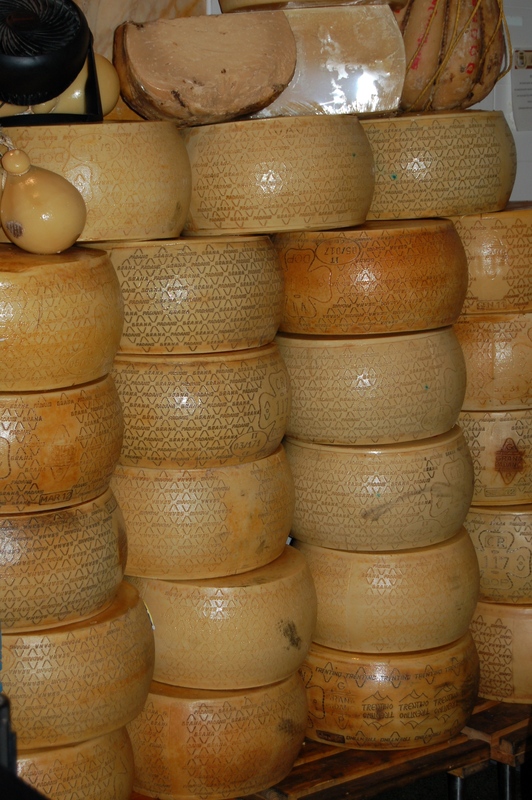 I was working with the best dry spaghetti in the world in my opinion (Rigorosa from Gragnano, Italy 🇮🇹 ), so each dish had a sturdy foundation from which to build each particular meal-whim! Cooking the spaghetti perfectly was also important, so keep that in mind as you cook. There is nothing worse than pasta that disintegrates in your mouth! Don’t over cook your pasta folks AND don’t you dare rinse it under the cold water tap after it is drained – also, ALWAYS save some of the pasta water. it is great to add to sauces and perfect to add to the pasta if it seems stodgy or too thick after you add it to your pan when finishing the dish. This is also great to make on a grand scale for a party and the added ingredients can be served alongside in bowls family style. To guild the lily of these spaghetti dishes, we grated a little (or a lot!) Parmigiano Reggiano cheese on top before devouring. Saute onions and garlic. 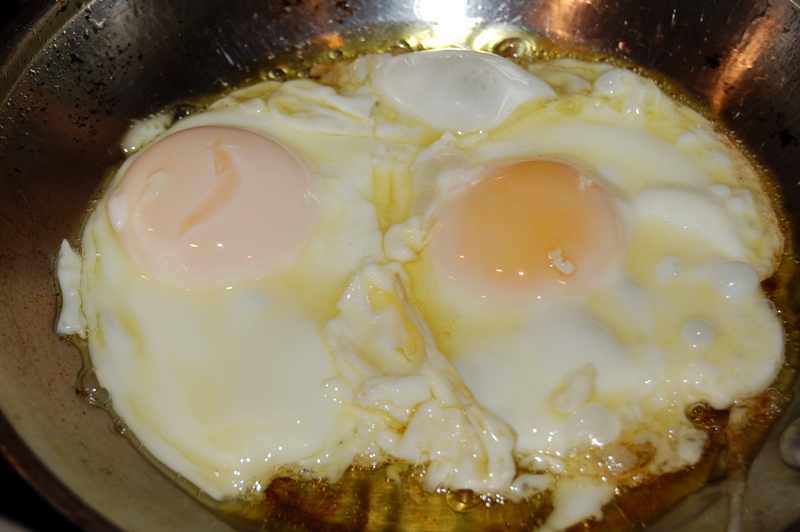 Add seasoning. 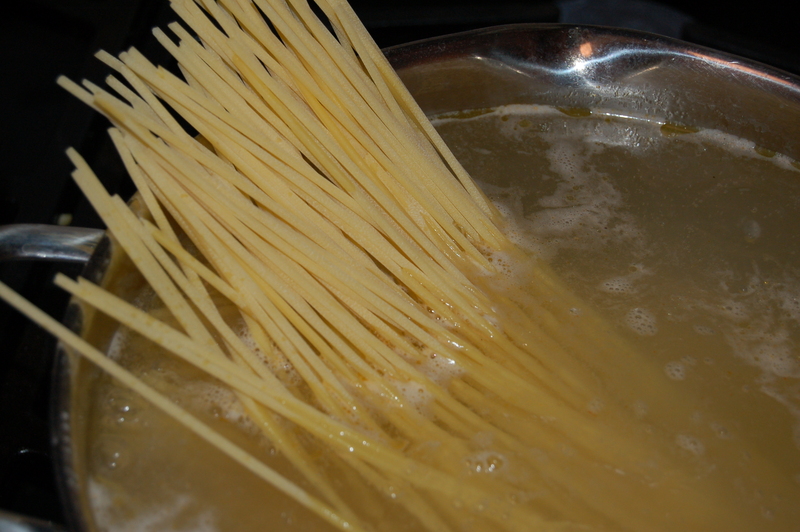 3 – When the spaghetti is cooked, drain and toss immediately into the pan with the onions mixture. Mix together gently (with two wooden spoons) and add a cup of hot pasta water to loosen it all up. 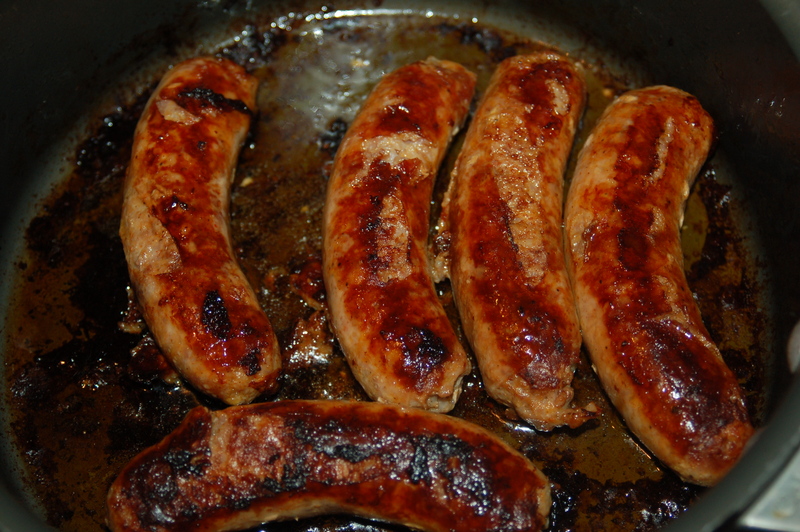 Taste for addition of more salt and add more water if you feel it needs it. 4 – Have everything else that you want to add ready and waiting. 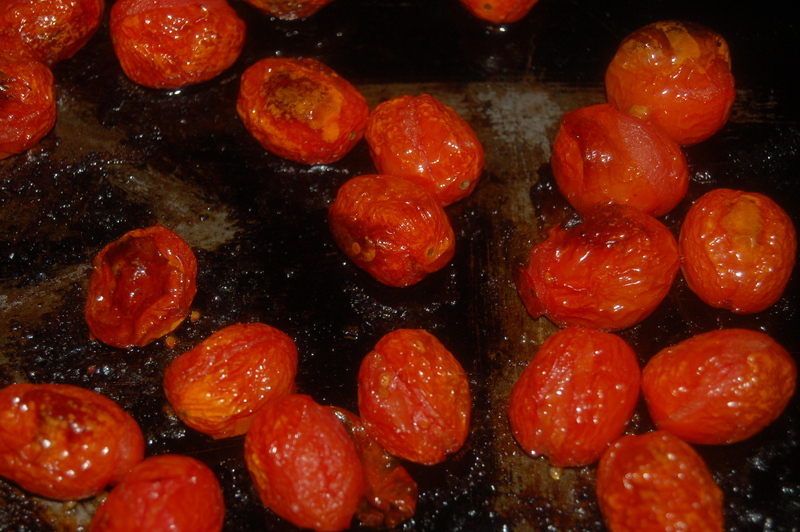 You can also roast the tomatoes if you like. Roast in a 450* oven for 10 minutes turning once. At this point serve everyone or put the pasta in a large warmed serving bowl and surround with little bowls of all the other ingredients and let people help themselves. Pass the cheese! My son’s requested spinach and sausage with his spaghetti! 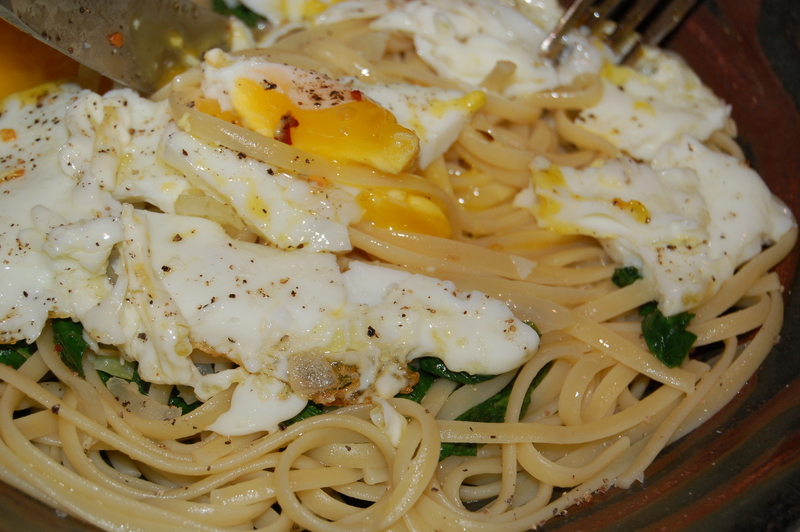 This entry was posted in "Blood Type A " Recipes, dinners and tagged Blood Type A diet, blood type A dinner, blood type A recipe, cayenne pepper flakes, eggs for dinner, Parmigiano Reggiano, rigorosa, rigorosa pasta, simple pasta dish, spaghetti, spaghetti dinner, spaghetti with eggs, spaghetti with spinach. Bookmark the permalink.